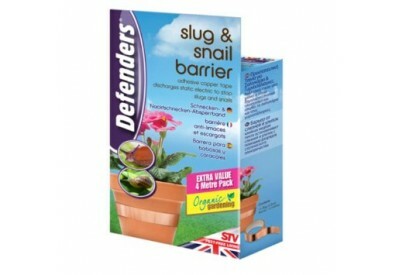 Defenders Slug & Snail Barrier is an adhesive copper tape which disharges static electric to stop slugs and snails. 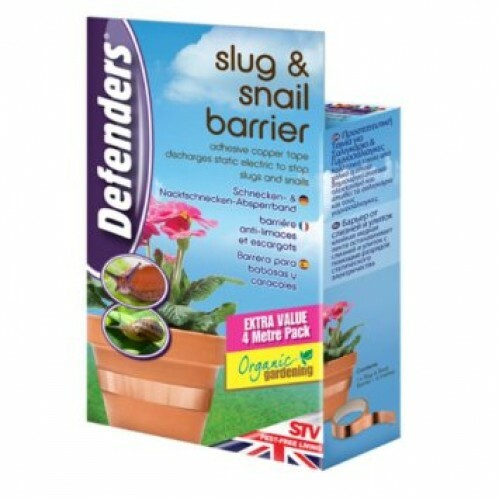 Defenders Slugs & Barriers is a simple and effective way to protect plant pots, greenhouse stagings, raised beds and coldframes without using slug pellets. 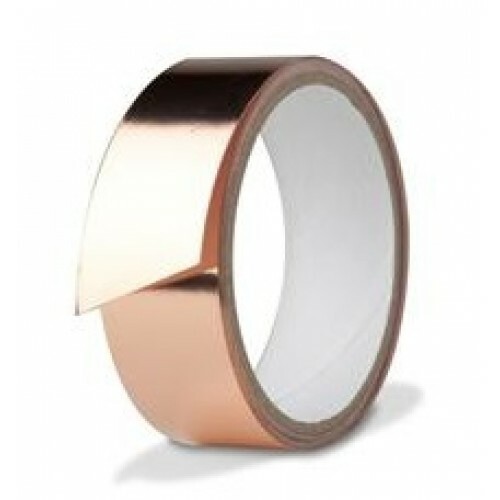 When slugs and snails attempt to cross the copper tape a tiny electrical charge is produced which will repel them.